A national installer and service provider for commercial and residential overhead doors, needed to extend the value and reach of their ERP solution into a real-time wireless mobile mode. They wanted to implement a Workforce Automation (WFA) solution in seven cities to schedule and dispatch their technicians and trucks more efficiently. Spectrum Resources planned and led the WFA implementation utilizing our Mobility Solution Methodology. We architected a three part solution addressing Inventory Tracking, GPS, and the integration of the handheld application with their existing ERP system. Establishing reliable Inventory Tracking and availability was key to the success of the mobile workforce project. Spectrum Resources, working with the company’s own staff, implemented accurate and auditable processes for tracking vehicle inventory. By utilizing scanable bar codes, precise inventory levels stated in real time statuses were implemented. For GPS integration, our project team worked in conjunction with the company’s personnel to implement CompassCom’s CompassLDE Automatic Vehicle Location (AVL) solution. The CompassLDE server software was installed at dispatch centers in St. Louis, Denver, Kansas City, Atlanta, Phoenix, Wichita, and Springfield. Company dispatchers in each center used the software on desktop computers to view the locations of vehicles on a digital GIS map. The system was configured to receive wireless GPS-based location and status information from vehicles in multiple fleets over different communications networks simultaneously. Integration of handheld devices was accomplished by linking CompassLDE with the existing ERP system to automatically populate the GPS with customer location information. Truck inventory levels and technician skill sets were also shared between the systems. 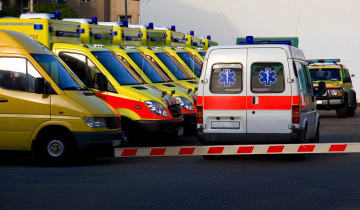 This information, along with proximity between vehicle and service call location, allows call takers and dispatchers to recommend which service truck can respond to a call most quickly and efficiently. Vehicles were equipped with handheld computers so its field crews have full access to the service ticket data. In addition, the handheld devices were configured to provide map making information and turn-by-turn directions. 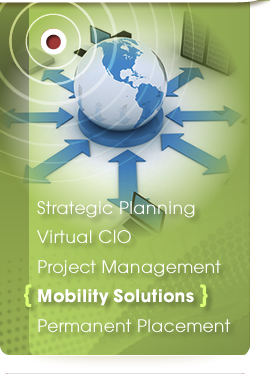 Spectrum’s copyrighted Mobility Solution Methodology created an effective union of business, technology, and connectivity to “bridge the mobility gap”. This fully integrated Workforce Automation solution is being utilized in seven cities to efficiently schedule and dispatch their technicians and trucks. GPS was deployed to 375+ vehicles and 70+ dispatchers without issue, within a seven month period. The company is now dispatching their technicians and servicing customers with greater efficiency. They drastically improved inventory control and automated several manual process steps. The WFA application was instrumental in getting real-time data to and from the technicians. This organization can better serve its customers while greatly improving the speed and accuracy of data processing on the back end. The ROI for this project was driven by the ability of each service technician to average at least one more call per day. This fact, along with the decreased cycle times for cash collection, resulted in a payback of the project cost in less than one year. 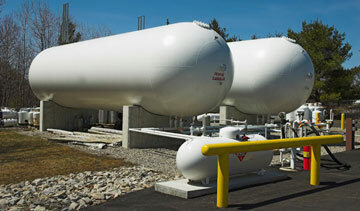 One of the largest propane distributors in the United States was in dire need of the expertise of a senior information officer due to extreme growth from the acquisition of similar companies in their industry. Since they are a publically traded company, it was vital that they made sound business decisions during this period. They needed someone to mentor and advise their executive team on how to develop and maintain the I.T. infrastructure to support their explosive growth. Based on Spectrum Resources past relationship with this client, one of our most senior level I.T. executives was assigned as the temporary CIO of this company. 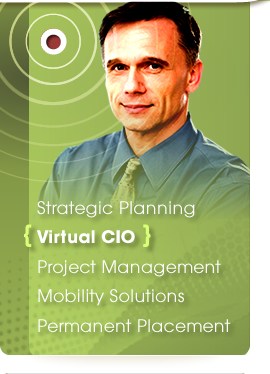 Based on the Virtual CIO’s vast industry experience, he was able to “hit the ground running”. He immediately accessed the situation and began to guide the team in the planning and execution of this project. 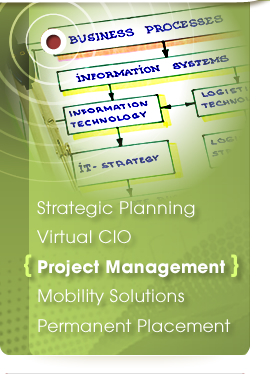 The Virtual CIO immediately upgraded the RAS (reliability, availability, and service ability) of the I.T. infrastructure. This provided support for the needs of the business today and support of any planned and unplanned growth in the future. The first two phases of the project are now complete. The company has had acquisitions that have increased revenues and transaction volumes by 50%, with no adverse effects on their ability to do business or report and track up to date and accurate financials. Their I.T. infrastructure is being continually enhanced and standardized for future anticipated growth. Prior to contacting Spectrum for help, this large manufacturer spent almost a year looking for a CIO to lead their international I.T. department. Their HR department had interviewed numerous candidates and could not find anyone to meet their strict criteria. The position required a highly experienced Information Technology professional with a strong manufacturing background and Oracle 11i experience. Spectrum Resources quickly jumped into action. They thoroughly gathered their client’s needs and requirements. Spectrum’s vast industry experience provided them with a more insightful understanding of what type of candidate would meet and exceed the challenges of the position. Spectrum canvassed the Midwest for qualified professionals. Within two weeks, Spectrum identified the winning candidate. The new CIO was hired thirty days later. This person has done an outstanding job and has been in this position for more than two years. This state public utility organization desperately needed a Business Continuity and Disaster Recovery Plan to suffice its auditors. They were having problems related to data security and were unable to meet compliance regulations. Spectrum’s Certified Business Continuity Specialists developed a comprehensive Business Continuity Plan, from I.T. to key resource provisions. 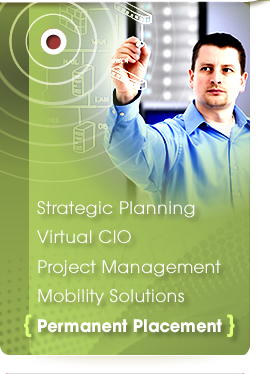 Spectrum’s proprietary methodology included a Strategic Technology Plan, an I.T. Controls Assessment, a Business Continuity Assessment, and a Security and Network Assessment. By using a knowledge transfer process, Spectrum developed a solution that was on-going, enduring, and self-sustaining. 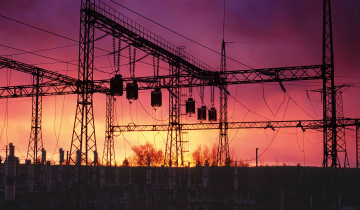 The Municipal Utility’s Business Continuity Plan thoroughly secured their data. Spectrum’s Business Continuity methodology has given this organization the ability to create an on-going and updated I.T. 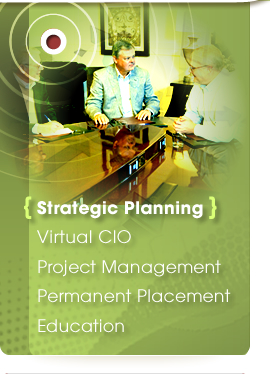 Strategic Plan that satisfies their auditing needs. One of the top five companies in the Travel and Leisure Industry needed rapid transitional deployment that would interface with their existing technology. They wanted to employ a new concept using kiosk technology for self-service check-in for their customers. The initial estimate from their usual technology provider indicated it could take multiple years to accomplish this complex implementation. Spectrum Resources began work on this project and delivered results in nine months. 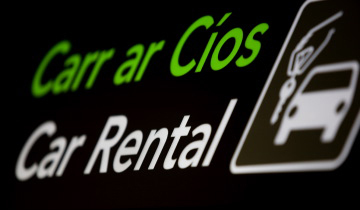 Utilizing ATM type technology, kiosks were created offering touch screens where customers could proceed at their own speed to check in for their car rental. The system was designed so that customers could get as little, or as much attention as they want, from roving customer service agents. The new Self Check-in Kiosk System allowed for rapid deployment of cars with less labor, greater accuracy, and better customer service. The project was brought it in ahead of schedule and under budget! This rapidly growing medical service provider needed to advance their business by web-enabling their services. This 24/7 operation has a national presence covering twenty-three states. They did not have a robust system that could handle their growth in both volume and services. They were unable to move forward due to restrictions with their legacy hosted systems and outsourced I.T. support. Spectrum Resources developed a multi-phased approach to move the client from a proprietary i-Series AS/400 model to an open systems web-based model (Zend-PHP) for their main business systems. Spectrum performed a knowledge transfer of the process, methods, and strategies to the client’s internal staff. This knowledge transfer was a key factor in the success of the project. Spectrum’s engagement included technology strategy, outsource vendor selection, database re-design, functional specifications, and development management. The first phase of this Web Enablement Project was delivered on-time. The company is up and operational, while Spectrum continues to work on further phases of the project. The long term solution that Spectrum is developing will provide the client with a fully web enabled system that is completely owned and controlled by their internal I.T. staff. This large international food conglomerate needed to consolidate their ERP platform and reporting structure for their North American entities. Their I.T. staff was not large enough and did not have the expertise to implement a task of this size in the desired time frame. 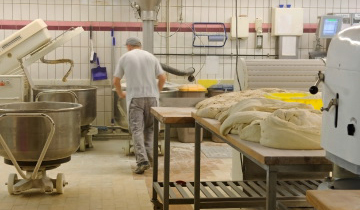 This Food Manufacturer asked Spectrum to provide short term expertise to help throughout their functional and technical planning and implementation. Spectrum’s solution included placing qualified I.T. professionals at their facility to assist their internal staff. Spectrum’s resources helped this company to redefine and restructure their permanent staff, plus they provided supplemental project management support. With Spectrum’s help, this international food conglomerate successfully integrated their four North American divisions into the corporate ERP system, BPCS/LX. The project also consolidated all of the North American computing into one data center located in the Midwest.